If you've hung around my website, you already know that if you want to reverse your Prediabetes one of the best things to eat is whole grains. 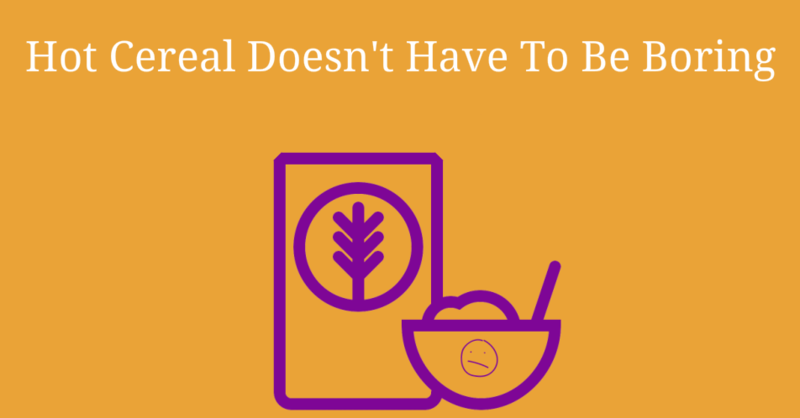 Whole grain oats, barley, wheat, quinoa, brown rice, buckwheat, sorghum and all whole grains are totally safe to eat. And there's TONS of research to prove it! The study mentioned in the box below looked at over 180,000 women. Those who ate more whole grains had a MUCH lower chance of getting Type 2 Diabetes....so bring on the whole grains! "Women who averaged two to three servings of whole grains a day were 30 percent less likely to have developed Type 2 Diabetes than those who rarely ate whole grains." But oatmeal day after day can be a bit much. Ladies often tell me that if they eat another bowl of oatmeal in the next century it'll be too soon! They are totally tired of the same old boring oatmeal everyday! That's why I make my Yummy Hot Cereal Fiber Booster and add it to my oatmeal AND other whole grain hot cereals (you can see my favorite hot cereals below). So let's start sprucing up your hot cereal! My Yummy Hot Cereal Fiber Booster is VERY simple to make and you can easily make a batch in about 5 minutes! Mix the three ingredients in a bowl. You'll need to chop your nuts or seeds in a blender or a food processor. Don’t worry if you chop them too much and you get seed/nut flour, it still tastes great. So what do you do with my Yummy Hot Cereal Fiber Booster? Well...you can actually do 2 things with it! OPTION #1. Add 1/4 cup Yummy Hot Cereal Fiber Booster, 1/4 cup dry whole grain cereal, double the water (so 1.5 cups water) and cook as you normally would. OPTION #2. Add 1/4 cup Yummy Hot Cereal Fiber Booster to your hot cereal when you're ready to eat it (this means the Yummy Hot Cereal Fiber Booster is cold and NOT cooked). This option is more crunchy. Either way, you're in for a blast of extra taste AND blood-sugar-busting fiber! Storage: Store your Yummy Hot Cereal Fiber Booster in a jar in the fridge. Here's the nutrition label for my Yummy Hot Cereal Fiber Booster. Don't be tempted to just eat this for breakfast! You'll starve to death by lunch time if you do, it only has 3 net carbs after all! 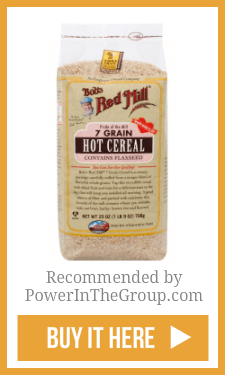 Did you know there are MANY hot cereal options and not just oatmeal? So now you know how to make my Yummy Hot Cereal Fiber Booster. 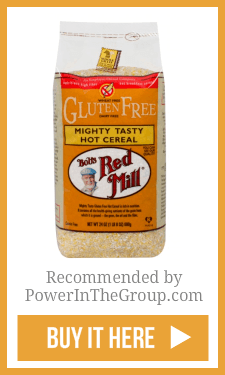 You also know there MANY whole grain hot cereal options! Need more breakfast options? Click here! Consumption Of Whole Grain Reduces Risk Of Deteriorating Glucose Tolerance, Including Progression To Prediabetes.